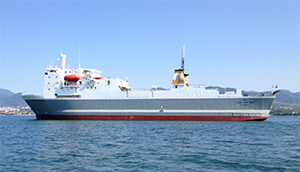 We hereby announce the sale & delivery of Ropax Yusuf Ziya Onis (IMO: 7812945) to new buyers as of 12 June 2014, that has been in our fleet since 2002. By taking this chance we are also glad to inform the modernization of CENK fleet, that will take place in a short period of time. Copyright © 2019 Cenk Group Denizcilik. All Rights Reserved.